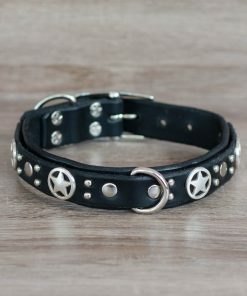 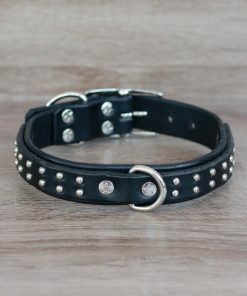 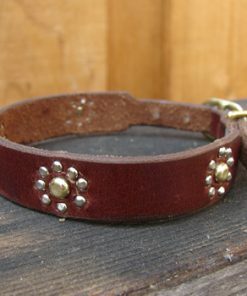 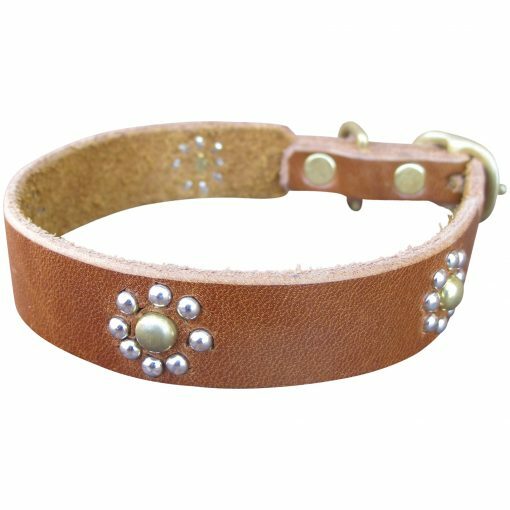 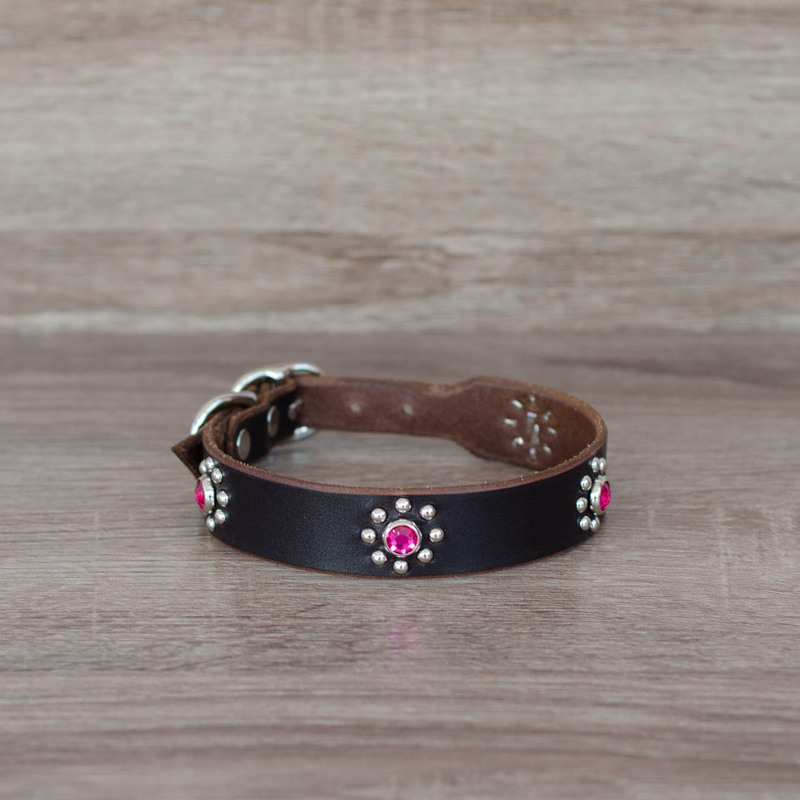 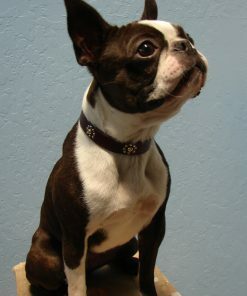 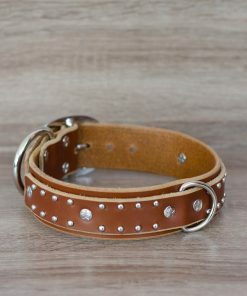 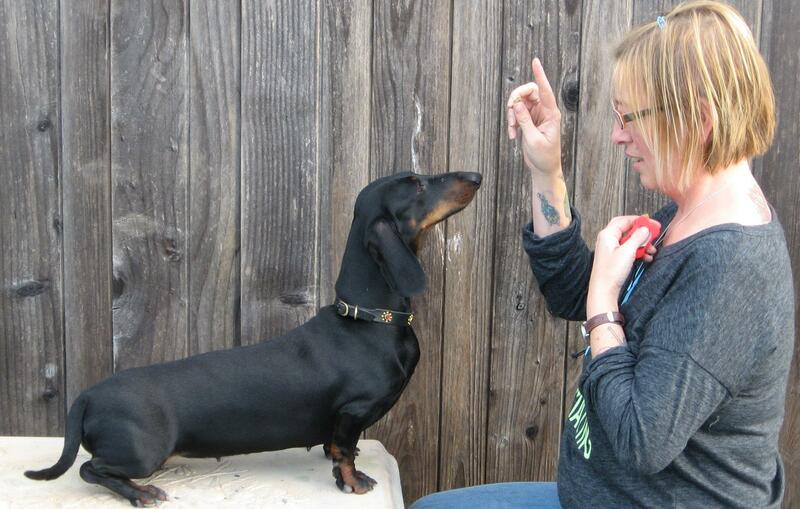 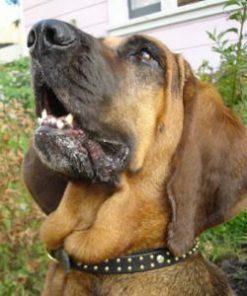 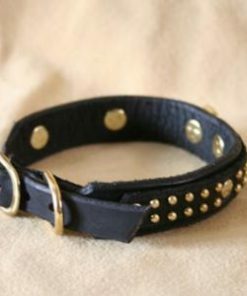 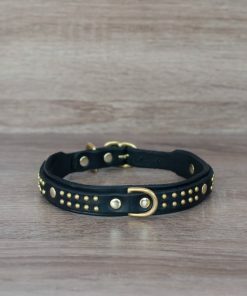 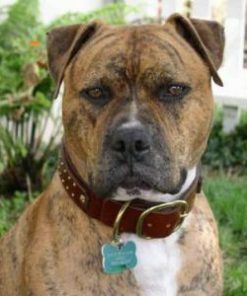 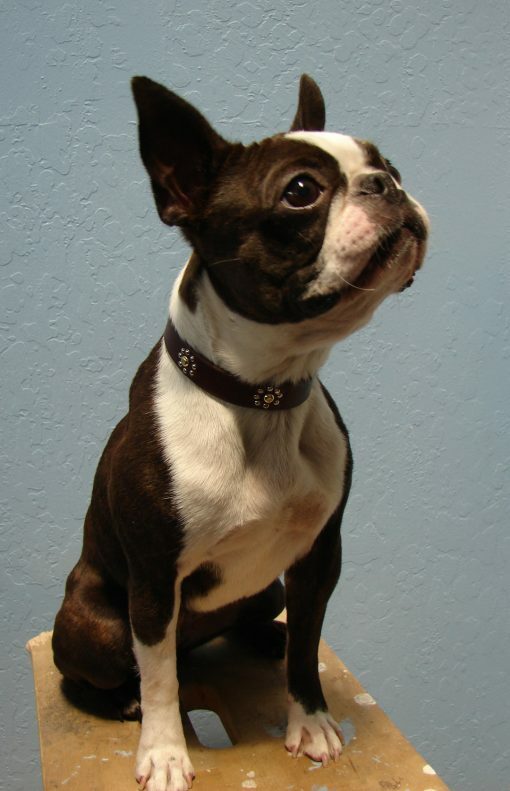 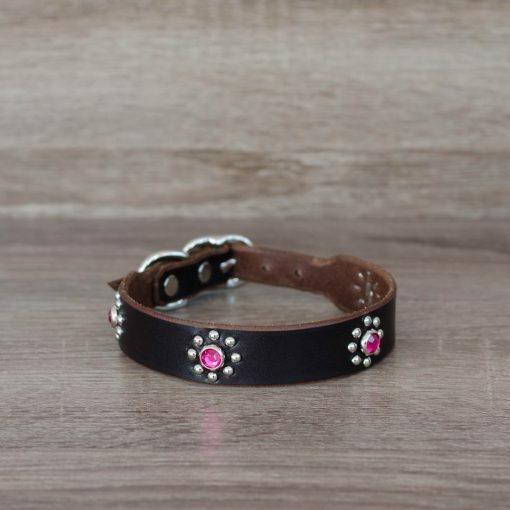 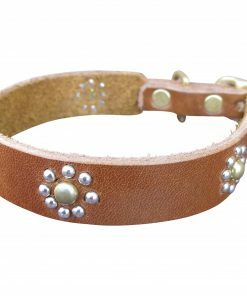 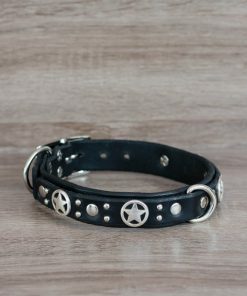 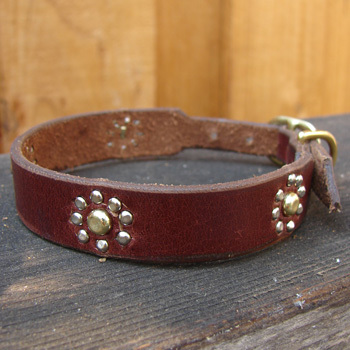 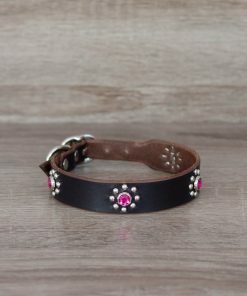 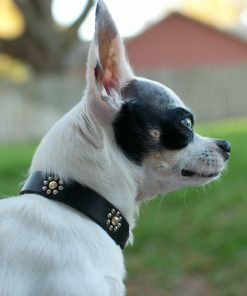 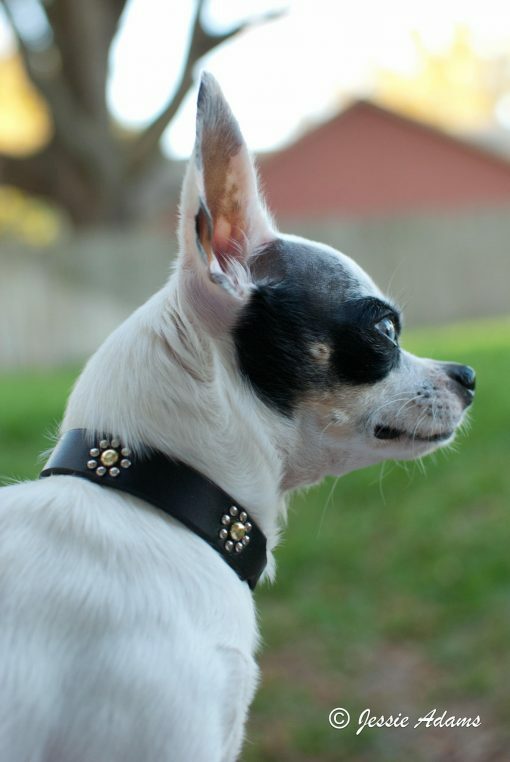 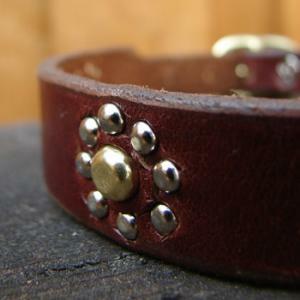 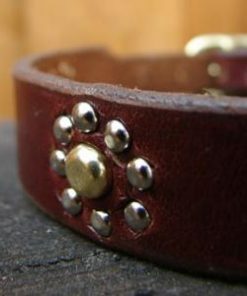 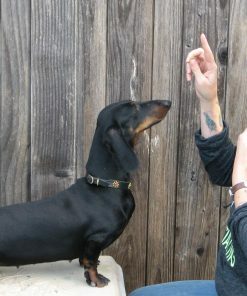 Tiny studs form a daisy pattern on this 3/4″-wide collar, which tapers down to a 1/2″ buckle. 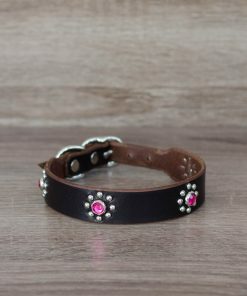 So cute and delicate with just a touch of femininity. 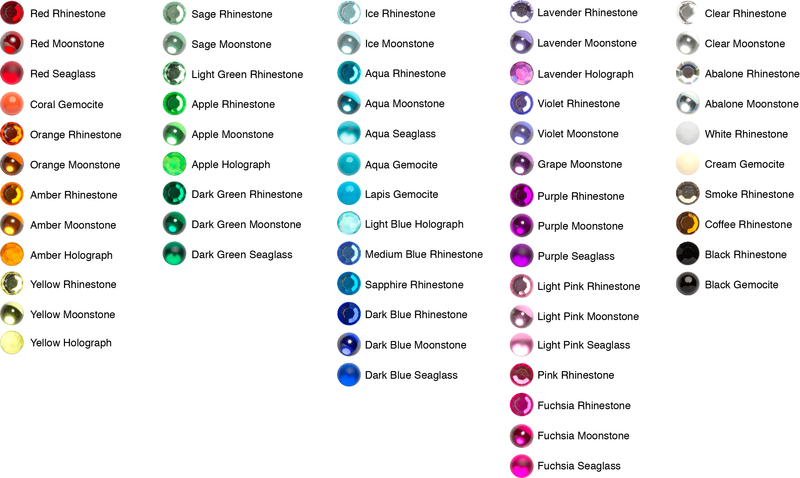 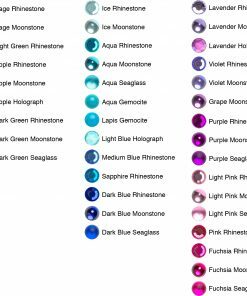 Choose a rhinestone for the center decoration if you want a flower that sparkles!